This is a complete game, very polished, and addictive. Fun! Starts off easy and then gets super challenging and strategic. Great way to amp up typing skills. You’re the head coach of the Eugene Melonballers, an up-and-coming team in the International Smorball Federation. Can you coach your team to victory, helping them win the coveted Dalahäst Trophy and bring glory home to Eugene? 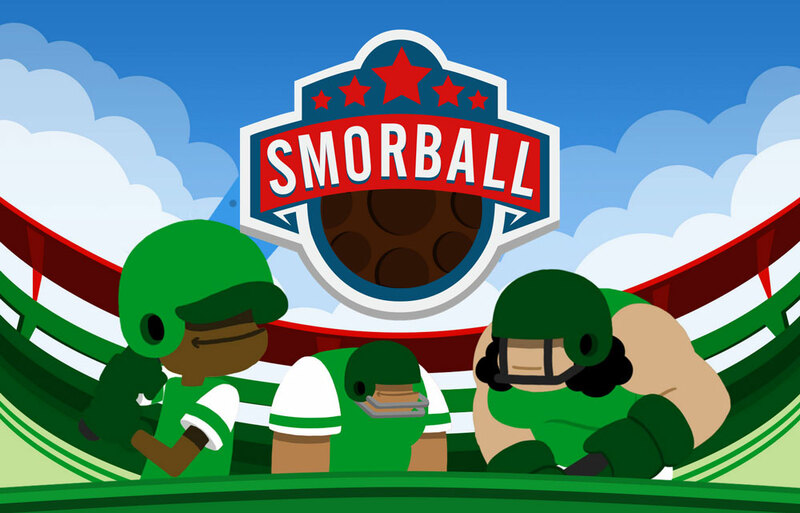 Smorball is a challenging browser game that asks players to correctly type the words they see on the screen–punctuation and all. The more words they type correctly, the quicker opposing teams are defeated, and the closer the Eugene Melonballers get to the Dalahäst Trophy. As the coach of the Eugene Melonballers, you must stop the opposing smorbots from getting your team’s endzone. As an opponent approaches, type the phrase in the corresponding row and press “enter” in order to command your athlete to tackle the opponent. Punctuation matters, so type carefully! Some opponents must be tackled multiple times before they go down. Over the course of the game you’ll be able to equip your athletes with equipment to make them stronger. Once you’ve picked up a piece of equipment from the field, press the “tab” button to make your next athlete don the equipment and defeat stronger opponents more easily. Defeat all of the opponents in the level before they score against you 6 times to win the match and proceed to the next one. Can you win the championship? Smorball tackles a major challenge for digital libraries: full-text searching of digitized material is significantly hampered by poor output from Optical Character Recognition (OCR) software. When first scanned, the pages of digitized books and journals are merely image files, making the pages unsearchable and virtually unusable. While OCR converts page images to searchable, machine encoded text, historic literature is difficult for OCR to accurately render because of its tendency to have varying fonts, typesetting, and layouts. Smorball presents players with phrases from scanned pages from cultural heritage institutions. After much verification, the words players type are sent to the libraries that store the corresponding pages, allowing those pages to be searched and data mined and ultimately making historic literature more usable for institutions, scholars, educators, and the public. Play Smorball, save scanned books from digital oblivion. 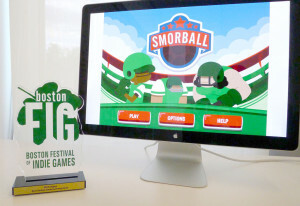 Smorball functions best in Firefox 38+, Safari 8+, Chrome 43+, and Internet Explorer 11+. It is not optimized to be played on mobile devices.